A lot of you have asked for more posts on investor psychology, including mental accounting, anchoring, and cognitive biases that affect our investing. Today’s post on mental accounting is by Claire, who holds an MBA and other degrees from Stanford and Oxford. Belsky and Gilovich have a big job ahead of them. In only 215 pages, they want to explain to you why you’re an idiot. Sometimes. Promising to give you “lessons from the new science of behavioral economics,” Why Smart People Make Big Money Mistakes was right up my alley. I love learning about the motivations behind spending, saving, and doing dumb stuff with money. This book promised to answer some of those fascinating money questions. Why are so many of us willing to spend so much more for a product bought on credit than with cash? Why do business executives spend ever-increasing amounts of money on failing products or money-losing corporate divisions? Although originally written in 1999, the book holds a wealth of wisdom for all time. Behavioral economists say that mental accounting works like this: let’s say you have bought a $150 ticket to a concert. When you show up at the door and realize you have lost your ticket, do you buy another? Probably not. But let’s say you hadn’t bought the ticket yet, and you show up at the door of the concert hall to buy your ticket. Unfortunately, you realized you’ve lost $150 in cash since you walked from your car. LUCKILY, you still have enough in your wallet though to cover the cost of the ticket. Do you buy the ticket? Yes. Both scenarios are a loss of $150. However, in the second scenario you separate the losing of the $150 from the purchasing of the ticket. In the first you consider the cost of the event as a total of $300 and retch at the high cost. It turns out that Mental Accounting is a huge contributor to the low rates of savings in the US (in 1999 it was 4% in the US and over 15% in Japan). When Do You Use Mental Accounting? We have a tendency to value money differently depending on where it comes from. If you win $50 in the lottery – considered “found” money – you more likely to spend that on garbage than the $50 you earned on the job. If you get tax refund – you’ll run out and spend it instead of saving. We are victims of the concept of “relative cost”. You want to spend $10,500 dollars but the used car dealer says it’ll be $500 extra this time of year. Mental accounting tells you that $500 in compared to the cost of the car isn’t that bad. But you want to buy a washing machine for $500 – you show up and they say it’s now $1000. Do you buy it? No. Mental accounting tells me that’s crazy talk. Plastic equals fake money:It sounds like the oldest most overused money trick but it still holds true – people do spend more with credit cards. When the weight of your wallet doesn’t change, you are less likely to think you’ve really spent anything. How can you fix the problem of Mental Accounting? Do what the book says: “Imagine that all income is earned income.” You worked for granny’s xmas check, so don’t waste it. Pretend you don’t have the plastic. Although Belsky and Gilovich haven’t gone all Dave Ramsey on us and told us not to use credit cards, they are saying we should stop and think: would I buy this if I was using cash? Remember that money is money. $3,000 more on a $200,000 house isn’t less money than $3,000 more on a $3,000 dining room set. Record keeping is the key to success – I’ve always claimed this, and this book enforced this more than anything. (Yes, we’ve regressed back to Ramit’s dreaded David Bach latte factor.) Little things can add up. $10 a day in extra soda, gum, magazines and lunch out is $3,500 bucks a year. Money is money is money. Your mind, however, can be on crack. Claire is an author of the upcoming book, Over-Choiced, and has been featured in such publications as Business Week and The Huffington Post, and at her money-saving blog, Choyster Cash. Get “Why Smart People Make Big Money Mistakes” on Amazon. This post is part of a series on the Psychology of Money. For more articles on the psychology of money and investor psychology, go to the index page, or follow the links below. You’re absolutely right. I used to have a hard time grasping this concept until I read Predictably Irrational by Dan Ariely. I believe salespeople of big ticket items are well aware of our propensity to think of money in relative terms. Interesting book ! Didn’t know it. This is particularly true on big amount like houses. People go crazy and spend 30 000 or 50 000 more than what they budgeted without thinking. However this work with small amounts too like coffee or cigarettes, when you add this up, it represent alot ! 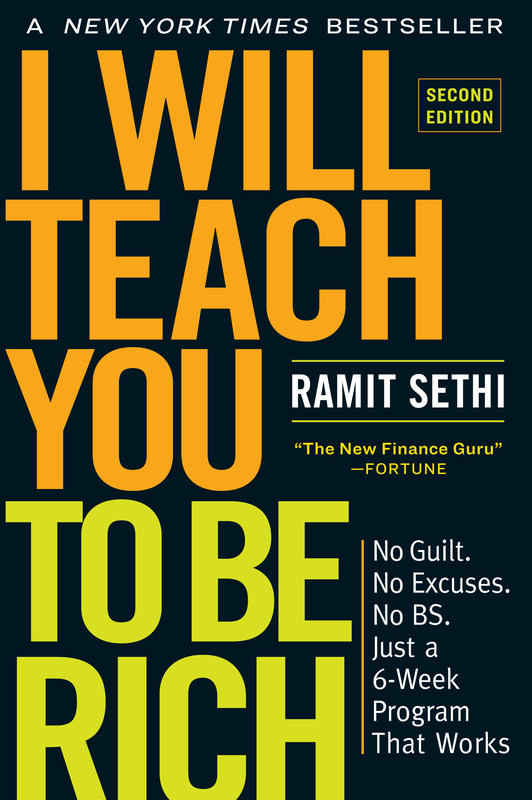 This is actually one of my favorite personal finance books (after yours, of course Ramit, duh…). I realized it’s super easy to do this with gift cards. If someone buys me a $100 gift card for J. Crew, and I never shop there, I’ll still go and ‘use up’ that money on clothes that I don’t really care about. I’d be better off giving it to a friend in exchange for $50 in cash. I do this all the time – honestly, if there is one place that I make the most money mistakes, this is it. I’ve noticed that the first price I see for something sets my cost expectation, and then if I see it for less money I think I’m getting a ‘deal’ even if I’m still overpaying. Click the link for an incredible TED talk about economics & social psychology; it explains why I bought an entertainment center I didn’t need last week. This is why we NEVER get ahead when we get a raise. Almost instantly, our mind sees the extra cash as ‘bonus’ and spends it a nickle here and a dime there until weve spent the raise PLUS some extra. …. Always chasing the dream of two cars in every garage, take-out on the table every night, and a jetski down at the marina. We’re entitled to it afterall…right? Hey Jeff – Gift cards are a perfect example. Given that they are considered “found money” we waste them like there’s no tomorrow! I like using credit cards for two reasons: 1) rewards points, 2) it’s easy! Due to those two factors, I will never stop using credit cards… what I do instead is take a mental note every time I buy something. “Can I afford to pay this off at the end of this billing cycle?” If the answer is ever a resounding “no”, I do not buy the item. This saves me from going plasticless, all while creating a more financially responsible me. i never actually saw it like that until the example pointed it out. Now im more cautious on money i received suddenly, like coupons, or gift vouchers and what not. But how do u spend it well? How to remind ourselves that money received from gifts or external claims are just as important as hard earned cash? @Kuhle Kitchen – I tried to go a month without using my credit card. It didn’t work out so well. I’m pretty sure I spent just as much or more money than I normally do. I like to have my transactions automatically uploaded to Mint.com so that I can easily track where my money is going and adjust appropriately. I’m not sure I’ll transition to the cash only method. I like to use my hotel reward points when I travel. Simple truth yet most are guilty of it. Now that this post has raised a good level of awareness, let’s spread this idea to as many people as you can so that they won’t make the same mistakes! Sharing it on StumbleUpon/Twitter/Facebook. I’ll probably check out the book too. Thanks Ramit! I was watching Dan Gilbert talking about our mistaken expectations on TED a week before and then I came across this article, and both of them striking home on how our own brains, behaviour and habits does make us look through a rose coloured glass and make seemingly “stupid decisions” about money. Reading that it gives me the thought that we do need to acknowledge the fact that we usually viewed and treated money in a relative sense – and that we need to base our relativity onto something that is conducive to our situation. (Reminded me about Tim Ferriss on viewing money in the context of time and vice versa) and constantly review our habits of money and the basis of such judgement calls and decisions that we made. Thanks Claire for a short but well-thought out post! Yes, as others have said…this is my biggest problem area. I’m all automated and in control everywhere except little unplanned windfalls. Example: I got an award from my company for a project I worked on…$300. I *should* have put at least half that in the bank…but I thought since it was extra money I would spend it…I ended up via, eh, *smart* “mental accounting” spending it two times over. Stupid mistake. Interesting post. I find that I’m pretty relative with my money situations as well, but I usually tend to go in reverse…if that makes sense. Whereas what you’ve described in someone willing to pay a little extra on big ticket items, I’m usually not. The bigger the number, the more I try to lower it. On small purchases, I tend to be alright with a few dollars more here and there so long as it doesn’t exceed what I wanted to spend initially. I know that sounds a little weird, but hey, I’m pretty bass ackwards anyway. I must say, I have not read this book, but I believe I’m going to the library this weekend! Thanks for sharing. I’m guilty of relative spending. I know that I wouldn’t mind paying 500 bucks more on a $20,000 item. But I would not pay 200 bucks more on a one hundred dollar item. I need to read this book! Might make us think twice and it’s a bit more permanent than a sticky-note in your wallet or purse. The advice on not wasting any money no matter how it’s “earned” (or found!) and making sure you keep up your record keeping are great pieces of advice. However…$3000 is NOT $3000!!!! In the example, a $3000 increase in a home price is not even a 2% price increase. $3000 increase on a $3000 dining set is a 100% price increase! Besides the obvious math, the home provides an asset that in most cases increases in value while the dining set will be worth nothing in 20 years. Percentages in relation to cost…AND value of the item are what you need to focus on! Finally, I find it interesting that in “Is Frugality just another word for guilt” Ramit says that “I’ve always believed that you can’t out-frugal your way to rich,”, but in THIS article he says “Little things can add up. $10 a day in extra soda, gum, magazines and lunch out is $3,500 bucks a year”.